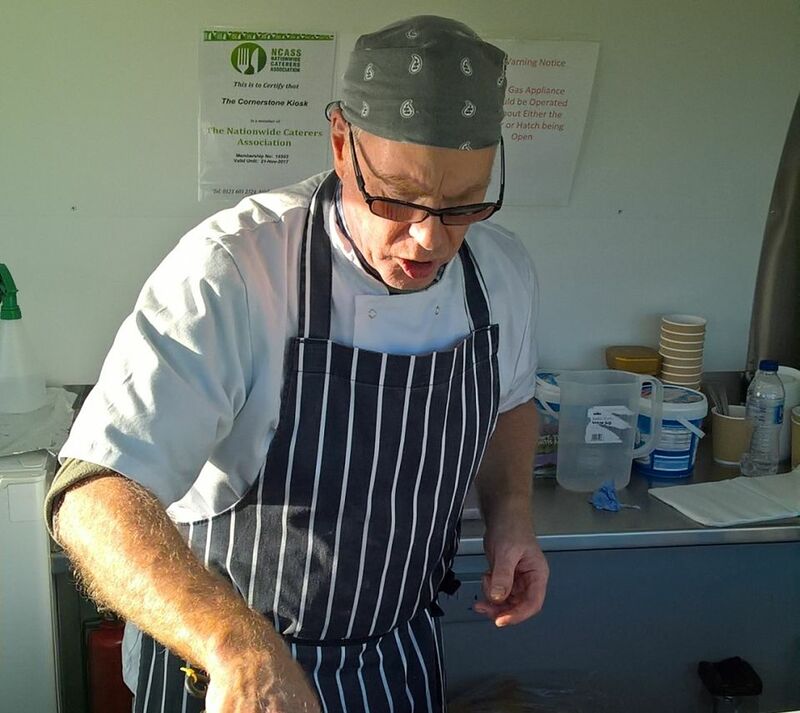 Launched in January 2017, The Cornerstone Kiosk is a mobile catering unit, which is currently operating in Poringland, Norfolk. Peter supplies simple, good quality food to the local community, and he could not be happier. Nwes spoke to Peter about his vision for The Cornerstone Kiosk. The Cornerstone Kiosk offers tasty breakfast fayre, lunchtime burgers, and a selection of hot and cold drinks. I want to ensure we have a community-orientated approach, and a commitment to providing tasty food at reasonable prices, with superb customer service. I have been greatly encouraged by my early days in business. How has Nwes supported your start-up journey? I was put in touch with Nwes Business Advisor, Ian Bird. He has been extremely helpful. I enjoyed the seminars on finance and marketing. I am already using the skills and knowledge I gained, and am putting them into good practice. The seminars helped me to start a business when I initially had little knowledge of what was involved. I will also receive ongoing support through the Start & Grow programme. Why do you believe you can succeed? I believe The Cornerstone Kiosk will be a great success. I have a lot of support, which has given me a real boost during my start-up journey. I believe I can succeed due to my Faith. I have a great support network of friends from my church and in my local community, and continued support from Nwes. Being a people person, I enjoy meeting new people and building relationships. I hope this will see customers return again and again. When you meet people and build relationships with them, it enhances you personally. In addition to serving delicious food from lay-bys to the passing traffic in South Norfolk, I have also been invited to attend local events. What advice do you have for others who are considering becoming their own boss? My advice to others considering starting-up in business would be to press through the difficulties and keep going.